Jenna Coleman confirms she's leaving the BBC's time-travelling series Doctor Who after three years aboard the TARDIS. "I have left the Tardis - it's happened," she told BBC Radio 1 on Friday, following reports earlier this week. "I've filmed my last scenes." "It's been in the works for a very long time," she said, "[Writer] Steven [Moffat] and I sat down a year and a half ago and tried to work out the best place to do it and tell a really good story. "We're not going to give any details but it will happen at some point this season... We worked out a really good story arc out so hopefully people will love it." I, for one, will miss Soufflé Girl. Ms Coleman had great chemistry with both co-stars Matt Smith and Peter Capaldi. And wish her every success for the future. Who would you like to see play the Doctor's next companion or do you think Capaldi should fly solo for a while? Let me know in the comments below. 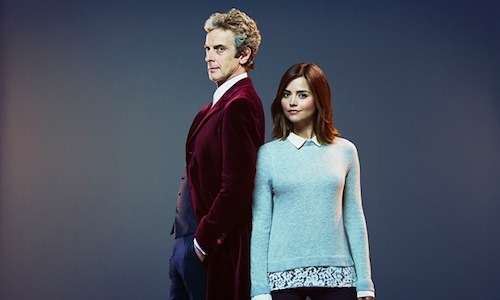 The news series of Doctor Who begins tomorrow on BBC 1 at 7:40PM.